There is lots to do in Orlando retirement communities and in Orlando itself. Orlando is a huge employment center as well. Disney World, located here, sometimes has job openings for seniors with the benefits including reduced entrance fee (verify); great for grandchildren. If your city isn't here, also see the Central Florida category. Orlando is in Orange County but adjacent counties are sometimes less than 30 minutes away, therefore, see the Central Florida page as well. Singles and attached villas priced in mid-$300's (verify pricing). 5 miles to Lake Nona - Amenity Center. Singles and villas. Starting mid-$300's. Sold out. Singles and townhomes with new designs by Del Webb (sold out) - This popular community is very near to Disney World. Amenities include manned gated entrance, resort-style pool and spa, clubhouse, recreation, activities and more. All ages. Started mid-$200's. 1384 Masters Blvd., Championsgate - See Realtors for resales. In Kissimmee by Taylor Morrison - Award-winning master-planned gated golfcart community. Plenty of activity with the wide selection of amenities including semi-private Stonegate Golf Club. Attached and detached homes from upper $100's. Price: $-$$ - One of two over 55 communities located in master-planned golf community of Ridgewood Lakes - Nearby shopping, dining and medical facilities. 30 minutes to theme parks. 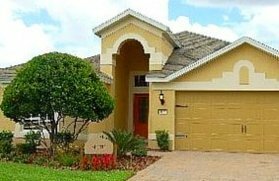 When Del Webb Orlando opened, Del Webb added 2 smaller square footage homes. In their survey they discovered that more people wanted smaller homes. In this economy, a smaller home is more affordable and doesn't require as much upkeep. Smaller square footage plans from upper $100's. Florida golf season is from October-May. The summer is not very busy because the snowbirds leave and only the regulars are playing. This time of year people generally play other Florida courses because the rates are cheaper. Communities are golf cart friendly but you cannot go shopping in your cart. The course is wide open in the summer, and getting a tee-time is no problem at all. The winter months are a bit busier, but the men’s and women’s leagues guarantee tee-times for all members. In the Orlando area - 30 minutes to Disney World - homes from 1200SF and priced from $220's to mid-$400's. Shea Homes, always the innovator of beautiful design now brings you the no electric bill home - This community is their second one in Florida. They are well known for their beautiful communities in California and Washington state. 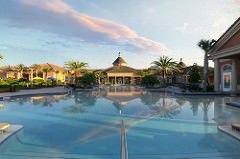 Their other communities in Florida are Victoria Gardens in DeLand on Florida's east coast (sold out), and not too far from Orlando, and Trilogy at Ocala Preserve in Ocala (see Central Florida communities). Dream Big: The Imagine Model has a ﻿beautiful video tour﻿ on their website. Spacious single homes from medium to high square footage. Starting in $220's. See new Freedom Collection starting in mid-$200's. By Freedom Homes (DR Horton) - 500+ homes in gated community. Single and villa homes from low $200's. Amenities include many activities for exercise, social activities and more. Resale only - Located in Clermont in Lake County by award-winning builder Lennar. Many amenities and activities. Price-$-$$, Size-Large - 30 minutes to the west of Orlando in Lake County. On-site vineyard. Golf simulator. 2-4 bedroom homes and medium to large square feet - Prices started $230's. Clermont - Large gated community with many amenities including, pools, spas, two golfcourses and more. In Lake County approx. 30 minutes west of Orlando. 2088 homes. Luxury amenities. Near the Heritage Hills community. Route 27, 3 miles south of State Route 50. 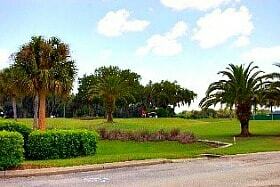 Deland - Price: $$ - Gated community less than an hour drive to Orlando and Daytona. Spanish tiled roofs and natural lake settings. 60% of homes on lake or lake view. Lot Packages - Custom homes start $250,000's. Choose your lot and decide when you want to build (see website for more information.) Docks and slips for non-power boats. Located in Winter Park - Independent senior apartments and villas. Services include 1 meal/day, bi-weekly housekeeping and more (verify). Also, assisted living with medicare approved Health Center. Lifelong Learning with Rollins College. Entrance fees start $135,270 (verify) plus monthly maintenance fees. For one person monthly fee starts $2005 (verify). Please verify all information as it can change at any time. Prices are listed on their About Us page.